The 7,457-yard par-72 layout has been carved out of woodlands lush with oak, pine and cypress trees. The course also has wetlands which are filled with native plants and flowers. Past Shell Houston Open champions at Redstone Golf Club include Fred Couples, Vijay Singh, Stuart Appleby, Adam Scott, Johnson Wagner and Paul Casey. Steve Stricker 16/1 seems to have a game plan sorted out this year to win a major championship, he’s only played four tournaments this season and has an impressive record of only being outside the Top 10 once. 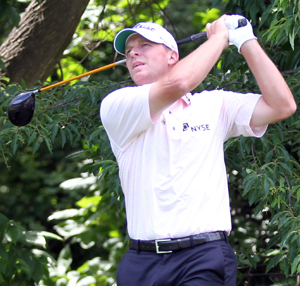 Of the three other finishes, one was a win in the Hyundai Tournament of Champions. He will want to have a good showing here so he can go into Masters week full of confidence. Keegan Bradley 20/1 is in great form this year and of the eight tournaments he has entered he has finished in the Top 25 every time. Keegan is someone I feel could do well in next week’s Masters and will want to have a strong finish here. I think the whole golfing world must have been routing for Ernie Els 33/1. He will want to win here so he can secure his place in the Masters. But if not, it could be the first time the South African has missed the Masters since he teed it up as a rookie in 1994. I think Ernie will dig deep this week and could just pull off that win that would see him back at Augusta. As we all know Padraig Harrington 45/1 has been tinkering with his swing since his last Open & PGA Championship wins back in 2008. But a 61 at the Transitions and a 66 at Pebble Beach are signs that the Irishman could have finally settled his inner turmoil. He will also want to go into next week’s Masters in great shape. Bud Cauley 55/1 had a forth place finish in last week’s Arnold Palmer Invitational which was one of three Top 25 finishes this season for the rookie. Bud joined a short list of players who earned their tour card straight from college without having to go to Q School joining the likes of Phil Mickelson and Tiger Woods. Cauley will be hoping his career goes the same way as those two and the signs are looking good for the young Floridian. As I stated the other week, Louis Oosthuizen 60/1 came from the European Tour in great form having made the Top 10 in all nine tournaments he teed it up in, winning the Africa Open along the way. 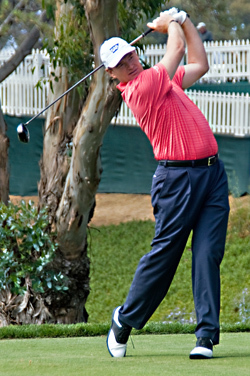 He had to withdraw from The Honda Classic due to illness but got back into the Top 25 in the Transitions Championship. Louis is another player heading to the Masters and someone I think will do well there if he gets his form back. No problem Amish, I am glad you enjoyed it.